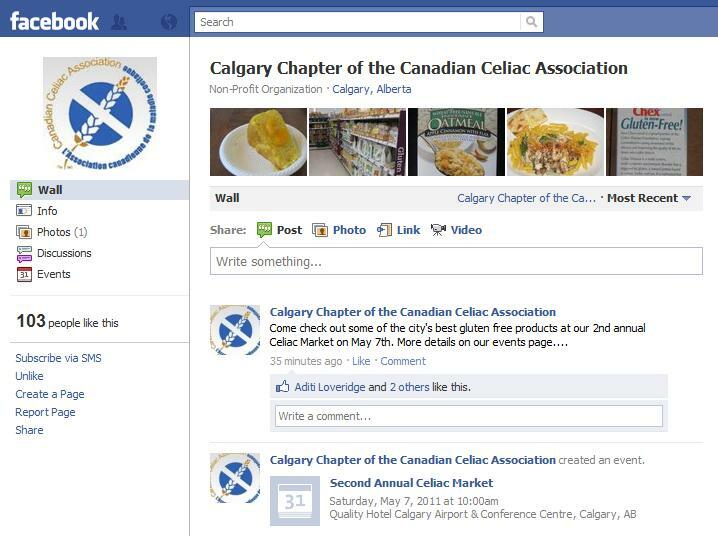 May 7, 2011 is the 2nd Annual Gluten Free Market in Calgary hosted by the Calgary Chapter of the Canadian Celiac Association. I did not attend last year, and probably won't be able to attend this year, but this sounds like a great idea for any city! 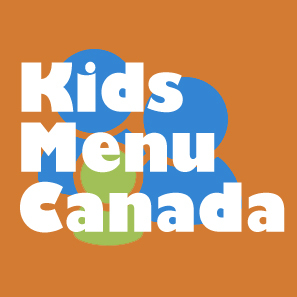 I know here in Edmonton there are many people doing great things putting together gluten free meals, baked goods etc. I am not aware of the Edmonton Chapter doing anything similar, so if you have a weekend free, this will probably be a fun event to check out. 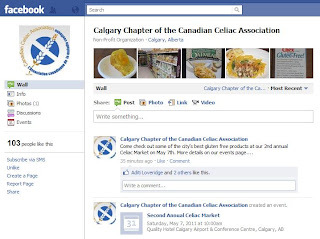 You can find the Calgary Chapter of the Celiac Association on Facebook. Click here to visit their Facebook page. 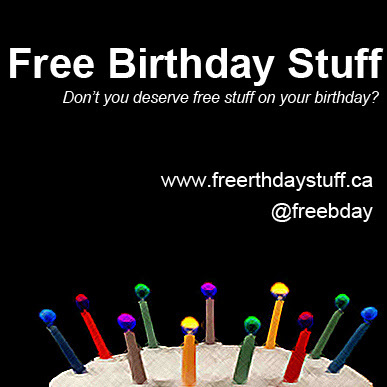 Click here to visit facebook event created by the Calgary Chapter. Find out more at their website www.calgaryceliac.com.